Click here to be the first to hear about our offers, competitions, news & events! 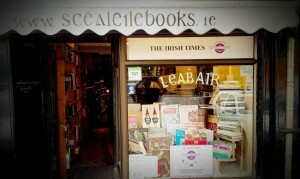 Scéal Eile Books is an independent bookshop and intimate arts venue based in the Market heart of Ennis, Co Clare. It is home to the theatre company Scéal Eile Productions. Scéal Eile Books stocks new, used and bargain books as well as an extensive collection of rare, out-of-print, and first edition books. The books on our shelves are carefully and personally chosen by Scéal Eile Books’ staff. Years of experience with local customers and knowledge of local interests helps us carefully select books you will love. The books you see on our shelves are not automatically sent by publishers, nor are these titles chosen by someone in some remote office. If you don’t see books on a topic of interest to you please let us know. 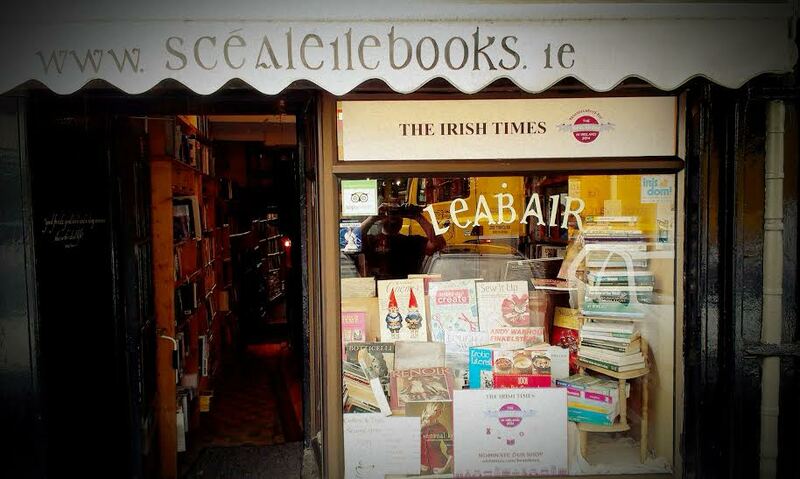 Thanks to you, Scéal Eile Books is able to continue keeping local readers in mind. Opening hours are Monday to Saturday 10am-6pm. 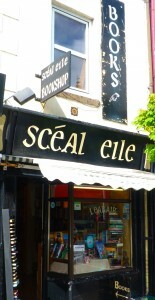 Scéal Eile is a special events arts venue – it does not host events on a fixed schedule basis. The venue is a beautiful, dynamic space known for our high quality intimate events, and for powerful collaborations with actors, writers, performers and artists. As well as traditional readings and book launches, we have previously hosted events as diverse as live music performance, micro art exhibitions, film screenings and theatrical performance. Scéal Eile has even provided the backdrop to wedding photographs! Our theatre company Scéal Eile Productions produces events in Scéal Eile and tours plays to theatres and venues both nationally and internationally. To stay on top of events we are creating, touring or hosting, visit our upcoming events page here, click here to join our mailing list, or follow us on facebook and twitter. If you are interested in collaborating with us or would like to discuss holding an event at Scéal Eile Books, get in touch using the details below.